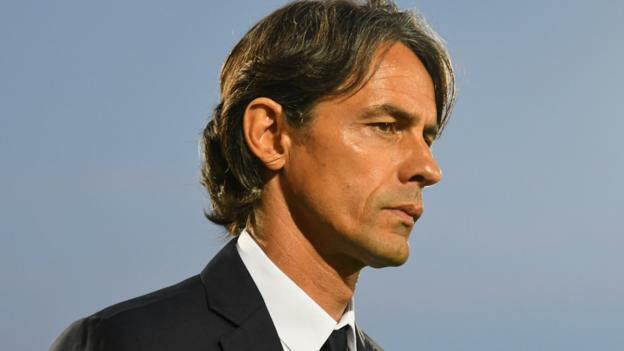 Former Italy striker Filippo Inzaghi has been appointed as manager of Serie A side Bologna. The World Cup winner, 44, has signed a two-year deal after leaving Venezia, where he spent two seasons. Inzaghi’s first job in management was at AC Milan, but he was sacked in June 2016, after a year in charge. He then went to Venezia, who he led to Serie B, but they missed out on promotion to Italy’s top flight this season after losing in the play-offs. Inzaghi was a prolific goalscorer with the likes of Juventus and Atalanta before spending the majority of his playing career at Milan. He won two Serie A titles with the Rossoneri, as well as the Champions League in 2003 and 2007, and was part of Italy’s World Cup-winning squad in 2006.